"Develop A Brand People Trust"
Ritesh Agarwal, Founder and CEO, OYO Rooms, on how to be a successful entrepreneur and do it right. that is teeming with young, innovative entrepreneurs who are not afraid to dream big. His highly successful OYO Rooms allows users to log on and book rooms at budget hotels and guesthouses around the country that have been standardised under the OYO brand. It has a franchise model and has been hugely successful since its inception in 2013. With an enviable inventory of over 4,000 plus hotels, 40,000 plus rooms across 160 plus cities, it came as no surprise when OYO received $100 million in funding from SoftBank earlier this year. 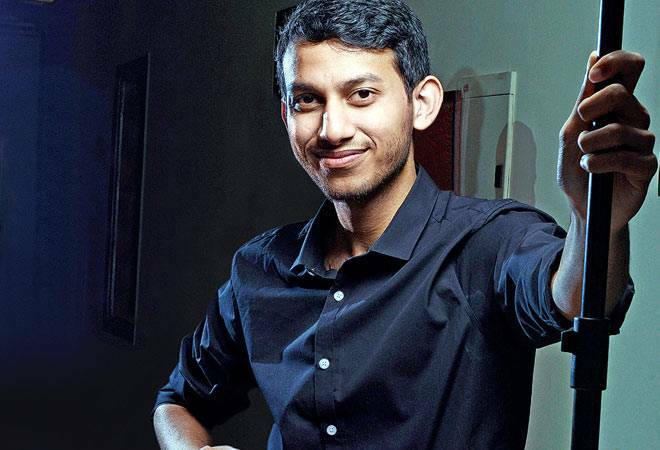 Ritesh is a youth icon and interestingly dropped out of college to fulfil his entrepreneurial dreams. He was also the first Asian to graduate as a Thiel Fellow (the Thiel Fellowship backed by PayPal founder Peter Thiel). Here he shares useful tips on how to be a successful entrepreneur and start young. When I started building OYO, the only thought on my mind was that I wanted to solve a big problem. It's important to innovate and improve every day. You can innovate through ideas, technology, or any other means. The goal is to better yourself each day. When you are constantly improving, you are constantly moving and when you are moving, more often than not you are making progress. The chances you take might not always give you the results you want, but you will learn. And like the saying goes, if you never try, you will never know. Most importantly, don't be rigid, evolve. I started with Oravel Stays but soon realised that what Oravel offered wasn't solving the problem at hand, so I started OYO Rooms. And lastly, I really believe that one should not be scared to be different. The crazier your idea is, the more doable it is. Also, it's also very important to be persistent. In the end, the biggest risk is not taking any risks. When I started building OYO, the only thought on my mind was that I wanted to solve a big problem. Every budding entrepreneur talks about how he is trying to solve a problem. It's a cliche, yes but it is important. Your business should have a purpose. You might not know the nitty-gritty of your business strategy in the beginning, but you need to be clear about the issue and what impact you want to make. It's not going to be a smooth ride and I am not going to sugarcoat this. If you are starting your business in the real world, you will face hurdles. It's up to you how you react to them. My initial days were no different. From convincing investors to convincing people around me to trust my brand was a challenge as I was extremely young. I had nobody to support me and I was broke. If I had given up, OYO wouldn't have been here and the hospitality industry would have remained the same. Even now, some days are not easy. Remember the ones who last are the ones who don't crumble in hard times. Be ready to face criticism when you start discussing your idea with the people around you. Criticism is necessary and though it might pinch a little, it makes you introspect. You don't have to heed to the criticism if you feel it's unnecessary. Also, you don't have to follow all advice. But it never hurts to listen, some of the advice you get might help you make the best decisions. This is not easy. Be prepared to spend hours browsing through LinkedIn and contacting people who are working for big firms and doing great work. Chances are these people might not have heard about you or your company. The challenge before you is to convince people to leave their high-paying comfortable jobs and jump into the unpredictable world of start-ups. Once you have built the right team, your life will become much easier. The idea is to get the best quality people on board no matter how much time and effort it takes. Develop trust for all stakeholders. From the customers to your investors, develop a brand for your company and for yourself that is trusted. Deliver on your promises. Your customers, partners, investors, employees and all other stakeholders should perceive you and the company in a positive manner. Having a trustworthy image will make your life much easier and will help you develop your brand better.